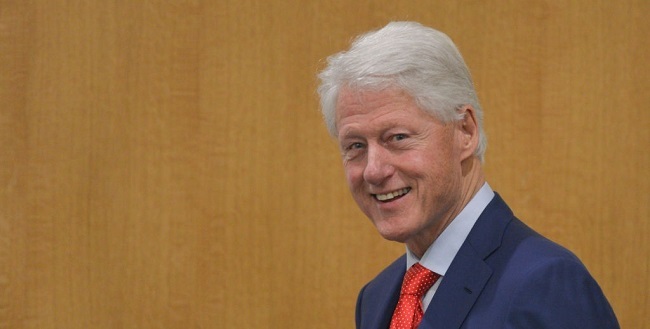 In a Sunday interview with Mo Rocca on CBS's Morning Show, former president Bill Clinton stated that a democrat in the White House would already be in a impeachment process after the Russian probe scandal. "I think if the roles were reversed- now, this is me just talking, but it's based on my experience -- if it were a Democratic president, and these facts were present, most people I know in Washington believe impeachment hearings would have begun already… And most people I know believe that the press would have been that hard, or harder. But these are serious issues". "I don't like all this. I couldn't be elected anything now 'cause I just don't like embarrassing people. My mother would have whipped me for five days in a row when I was a little boy if I spent all my time badmouthing people like this." On the CBS Sunday Morning show, Clinton also spoke about his own impeachment process back in 1998 after his affair with White House intern Monica Lewinsky was revealed: "It wasn't a pleasant experience, but it was a fight that I was glad to undertake. They knew there was nothing impeachable. And so, we fought it to the end. And I'm glad" said Clinton. As of last month, special counsel Robert Mueller's Russian probe and election tempering investigation led to 5 guilty pleas in the case, one sentencing and 75 criminal charges against the people believed to be involved in the case.